A beautiful hardbound 13" x 11" large landscape book printed using publisher Blurb's new 190GSM Proline pearl paper. 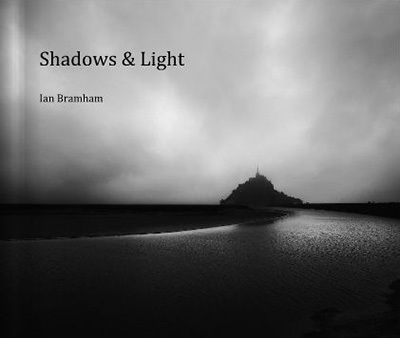 The book includes 74 photos by Ian Bramham and an introduction by Andrew James, the Editor-in-chief of Practical Photography magazine. It is being sold as a signed limited edition of 100 copies and each book includes in the price a limited edition signed print of your choice of one of the photos in the book. The prints of the individual photos from the book will be in signed and certified editions of 25 and will be printed onto A3 size (approx) archival quality paper. You can either have your print delivered at the same time as your book, or alternatively, you can wait until you've got the book and then choose which print you would like - just send us an email with your choice and it will be delivered separately. To order a copy of the book scroll down to the bottom of the page where you can add it to your shopping cart. The cost of worldwide postage and packing is included in the price. Click below to see a review of the contents of the book. Important: For a signed edition of the book please make sure you order it direct from this page you are on now rather than from the linked Blurb preview as books bought direct from Blurb will not be signed. Don't forget that the price indicated below is for both your limited edition copy of the book as well as a limited edition print of your choice of one of the photos from the book.